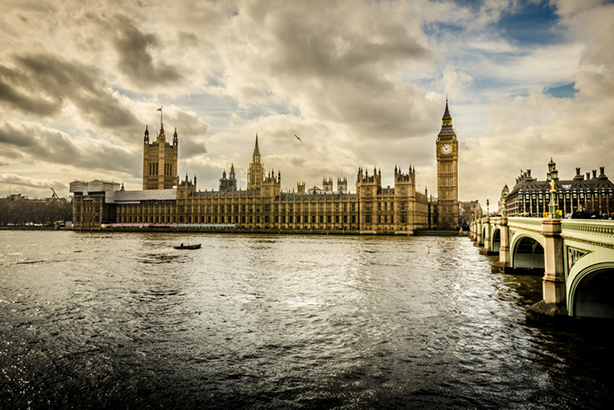 The UK government is to review its estimated £140m media-buying account with transparency in the digital media supply chain at the top of the agenda. Alex Aiken, executive director of Government Communications, cited Procter & Gamble chief brand officer Marc Pritchard’s warning earlier this year that the supply chain is "murky at best and fraudulent at worst". Writing for Campaign, Aiken said he wanted the government to "play a leading role in tackling the biggest challenges facing modern advertisers" and "restoring some of the trust that has been lost", which can "help the wider industry to move forwards". He set out an ambition for all the government’s digital advertising to have "100% viewability" and "tackle head-on the risks around the programmatic supply chain". The Cabinet Office and the Crown Commercial Service are running the statutory review, which is being called after four years and will formally begin in February 2018. They plan to use ISBA’s new, tougher media agency framework contract in its negotiations with agency groups. Dentsu Aegis Network’s Carat has held the account since 2014 when the last review was held. M4C, a subsidiary of WPP’s Group M, was the previous incumbent and launched a legal challenge over the way the process was conducted. Aiken signalled he is keen to avoid a similar dispute, saying: "Transparency will sit at the heart of our renewal process." He promised "openness" and will consult the ad industry widely before the review starts. He explained: "To work effectively transparency has to go both ways. That is why we are working to engage with wider stakeholders as early as possible to share our strategic thinking and provide an opportunity for it to be shaped in collaboration with industry and trade bodies." It is expected the Cabinet Office will approach all of the big six ad agency groups. Aiken said the government has a "duty" to 65 million taxpayers to ensure "any money we spend is used as effectively as possible". But he added he wants to build "a media partnership for the future" with the winning media-buying agency and the government wants to be "a good and intelligent client". Aiken said the media world has become more "complex" and it is vital that "we build trust with audiences who are increasingly becoming disengaged" and "take advantage of data and audience insight to strengthen planning and enable more flexible media buying". The Cabinet Office was one of the first UK advertisers to suspend its ads on YouTube over brand safety at the start of this year and it is understood that suspension continues, although the two sides are in dialogue. "Recently, we found that by reducing our whitelist for programmatic advertising, to just over 1000 sites, we saw campaign performance actually improve across a range of metrics," Aiken said. "Our future relationship will require an agency that is able to work with us to identify, and take advantage of, opportunities to deliver more cost effective, better performing campaigns." The government was once the UK’s biggest advertiser during the days of Gordon Brown’s administration when Central Office of Information managed all marketing. David Cameron’s government disbanded COI in a cost-cutting move, even though its work had won a string of IPA Effectiveness Awards for its campaigns on smoking cessation, healthy eating and other public sector issues.